My husband and I, and our two dogs Linkin and Story, are driving across the United States from Oregon to Florida for the second time this year. We are taking a completely different route than we did on our first cross-country road trip. This time we are driving across the Northern part of the U.S. and down the East Coast. 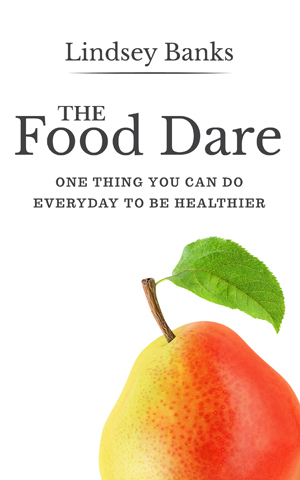 It will take us about 16 days. You can see our route here. 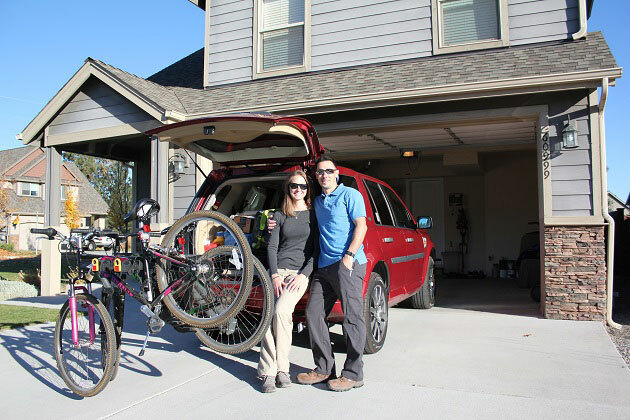 First stop on our cross-country road trip…Idaho. I admit that I wasn’t sure what Idaho had to offer. I have never been to Idaho, and come to think of it, I don’t know anyone who has ever vacationed to Idaho. But, as we ventured east out of Oregon, I quickly began to fall for Idaho. 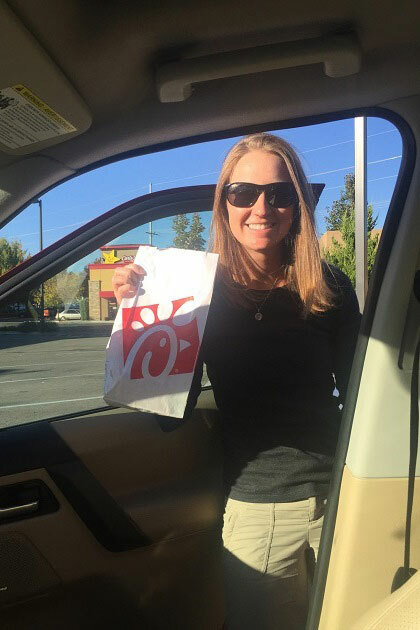 We drove through Idaho in two days, first stopping for a quick bite to eat at Chick-fil-a in Boise. You may be wondering why I even mention this stop, but I assure you it’s a big deal! It has been 7 months since I’ve had Chick-fil-a (there are none in Oregon) and it was even better than I remembered. 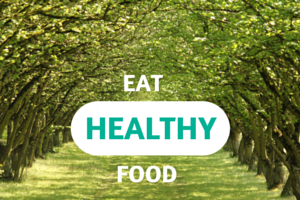 Their chicken sandwiches are the best…and their cookies! Boise was one of the nicer large cities I’ve seen. I’m not a big city girl and most of the ones I have visited just seem dirty and overwhelming. Boise seemed to be nice and clean, and we managed to catch the tail end of some of the Fall foliage around town. Over half the population of Idaho (about 1.5 million) live in Boise. Now, enough with the good food and on to the good Idaho views! After leaving Boise, we continued east to Twin Falls, ID. 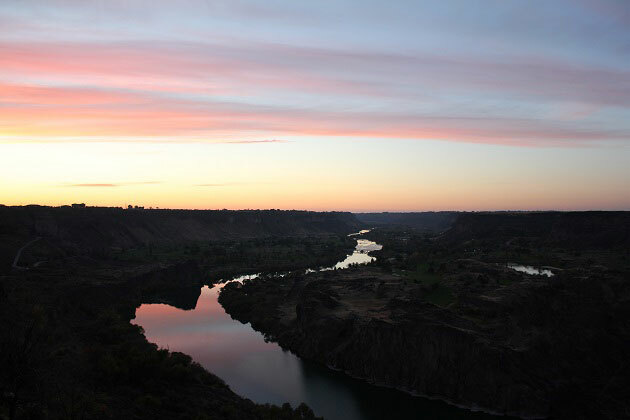 When we arrived in Twin Falls we were pleasantly surprised by a gorgeous sunset view over the Snake River Canyon. We stopped at the Visitor’s Center overlook to catch the tail end of the sunset before heading to our hotel for the night. After driving all day, it always feels so nice to get settled into the hotel. We try to stay at a lot of La Quinta hotels because they are all dog-friendly around the Nation. The next morning we drove back to the Snake River Canyon Rim to enjoy the view in the daylight. 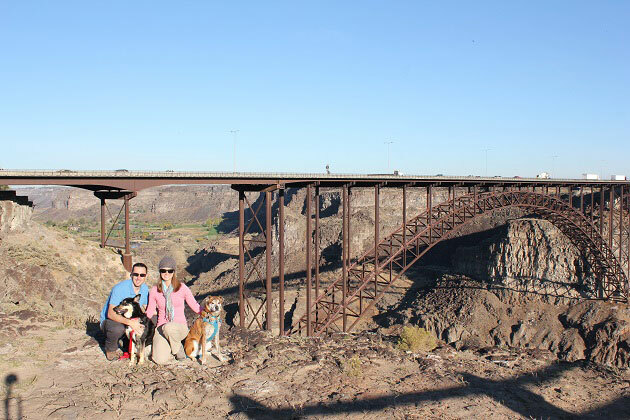 We walked along the rim trail where you can see the amazing view of both the snake river and the Perrine bridge. 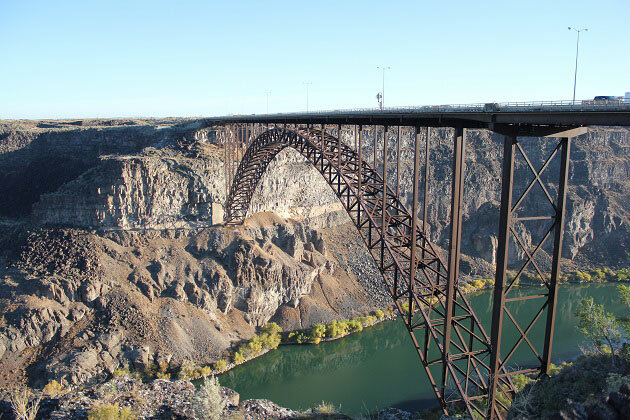 You are also likely to see some BASE jumpers off the bridge to the canyon floor. 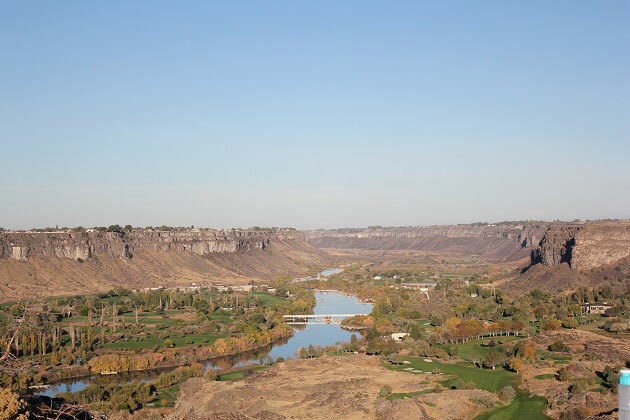 It’s awesome that this view is right at the edge of the town of Twin Falls, ID. It is definitely a site to see if you are headed to Idaho! After leaving the city of Twin Falls, we stopped at Shoshone Falls, which is only about 3 miles east of Twin Falls. It is actually a higher waterfall than Niagra Falls and has been coined “the Niagra Falls of the West”. Apparently, fall is a bad time to visit Shoshone Falls because the water levels are low and the flow is not very strong. However, it was still pretty impressive and worth the visit. 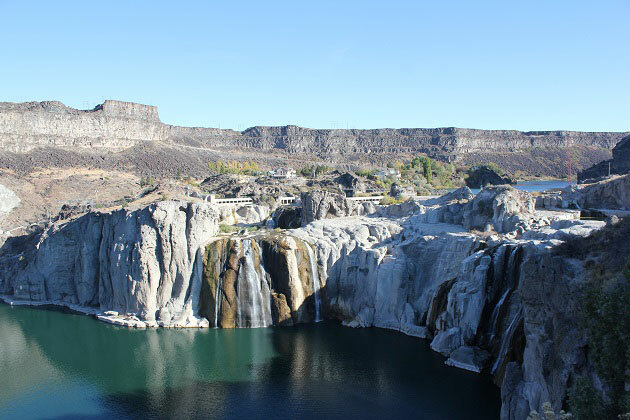 If you have a choice of when you visit Shoshone Falls, spring and early summer are the best times to go. The drive from Shoshone Falls to Craters of The Moon National Monument and Preserve was a little boring because it is only open land, but it is still very pretty. When you drive through so much vacant land like that, it helps you realize how big the world really is. 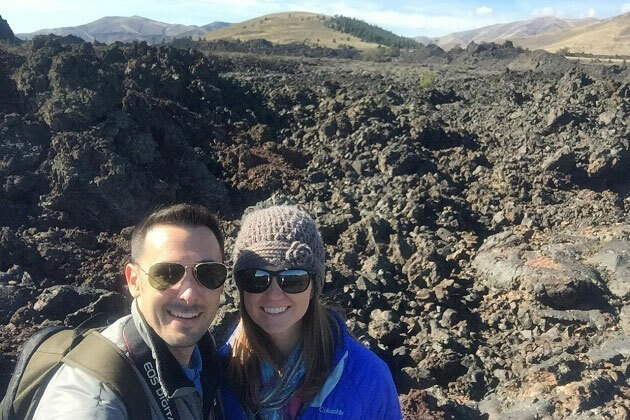 Craters of The Moon is about a 1000 square mile lava field. There are trails wound throughout the preserve. 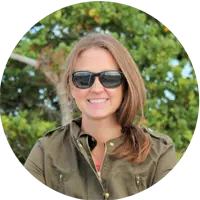 It is definitely a site you can’t miss! 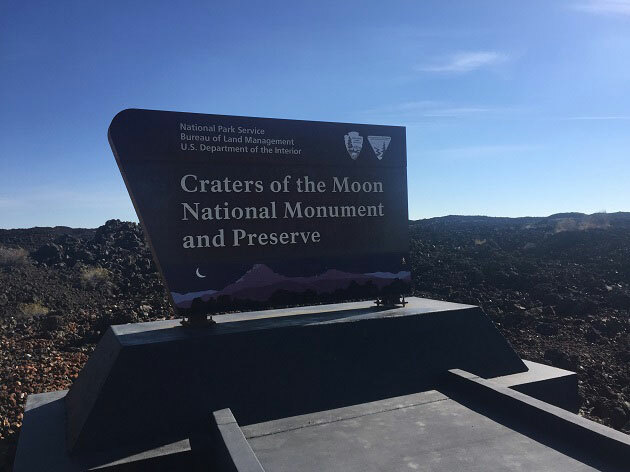 We hiked a few short trails around Craters of The Moon, including the North Crater Flow Trail and the Spatter Cones Trail. When walking through the lava fields, it feels like you’re on another planet. Idaho was definitely a pleasant surprise. Between the Snake River Canyon, Shoshone Falls, and Craters of The Moon, Idaho has some unique and beautiful sites to see. I will definitely be back! Now, we’re continuing east on our road trip to Wyoming. Stay tuned for some Wyoming sites and adventures…coming soon!